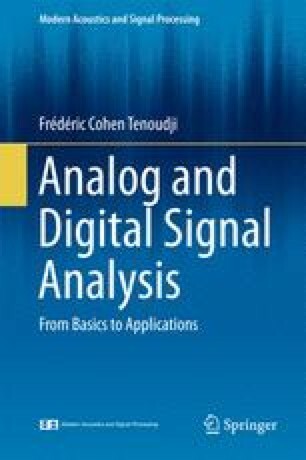 Analog filters play an important role in signal processing. We deal here with some important, common cases. The analysis will be limited to the case of low-pass filters. We consider first, three classical all-poles filters: Butterworth, Chebyshev, and Bessel. We discuss their performances with regard to the situation of the poles of their transfer functions in the Laplace plane. It appears that the Butterworth filter has the flattest frequency response in the passband. The Chebyshev filter has the shortest transition region between the passband and the attenuated band. The Bessel filter will be used when minimum deformation of the signal through the filter is searched for. The chapter ends with a comparison of the frequency responses of filters from each class.